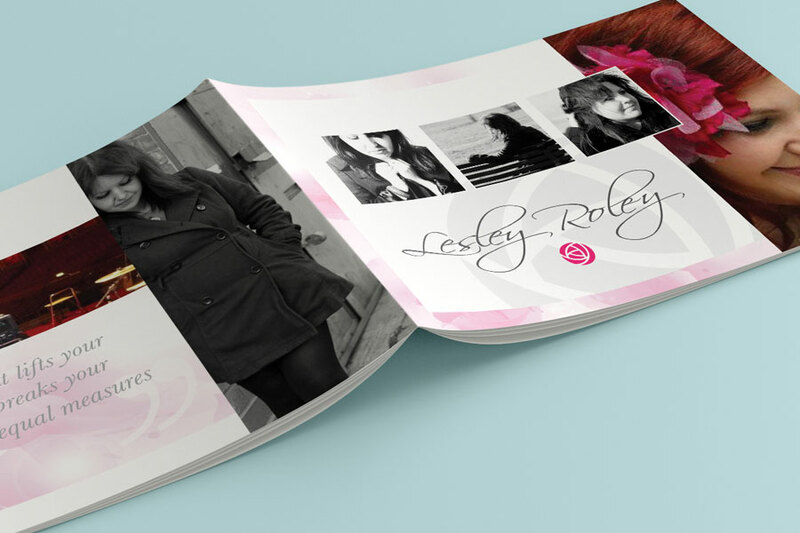 Working closely with Lesley, a clean and simple layout was used, that enabled Lesley to easily update with gig dates and blog details. 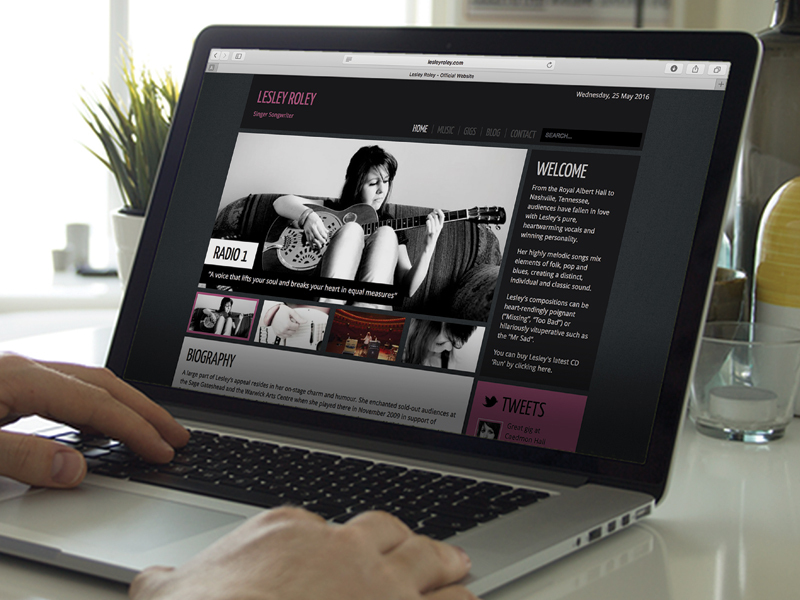 The site also intergrates with Lesley's twitter feed. The site is a fair few years old now so a new and more up to date design is currently in progress. The design was kept clean and precise with a strong focus on Lesley as an artist and a predominant use of imagery. The elegant use of typography and white space give a sense of ease and clarity throughout. A lot like Lesley's music! Every gig that Lesley played people kept asking "you have CD's to buy but where's the T-Shirts?". I took the title of Lesley's latest CD release along with the rose icon and created a very minimal T-Shirt design.